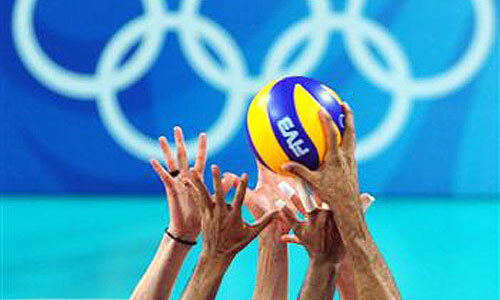 Volleyball has been an Olympic sport since 1957 and it was featured for the first time at the Olympic Games in 1964. Olympic volleyball is always exciting. This year is an Olympic year and nothing is more thrilling for a volleyball fan than the Olympics. Moreover, next year it will be 50 years since the IOC reached a decision, a very wise decision indeed, to include volleyball as one of the Olympic sports. So, it is more than appropriate to say something about volleyball and its prominence at the Olympic Games. There’s nothing quite like watching the Olympic Games live. And even if you can’t be there, in Brazil, you will surely like to watch the matches as they are played, in real time. Even when it’s not about volleyball or sports in general, people like to be able to participate in a real event. That is one of the reasons why live casino games are so popular. Many people prefer to be able to play a game of Blackjack when they can watch the dealer, or Roulette when they can see the croupier spin the wheel. These are the best live dealer online casinos that will allow you to enjoy in an authentic atmosphere while you’re sitting at home in front of your computer screen. And probably most of you will be sitting in front of their big screen TV for the Olympic volleyball matches. Check out the schedule once again and figure out which matches you simply don’t want to miss. The 1964 Tokyo Olympics were the first where volleyball was included and there were 10 nations were competing for the medals in the men’s tournament, whereas there were only 6 female teams. The Soviet Union managed to become the first volleyball Olympic men champion, whereas the host nation, the Japanese were the women’s champions. At next Olympic Games, as well as in the 6 Olympic tournaments that followed there were 8 women’s competing, whereas in the last 20 years, 12 national volleyball teams compete for the Olympic medals. 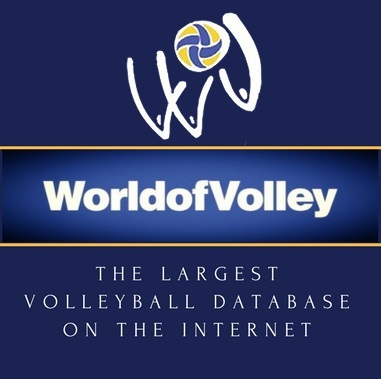 As for men’s volleyball, there were 12 teams competing on most occasions. This year in Rio there will be 12 men’s and 12 women’s teams. The second Olympic gold medal was won by the Soviet Union and this country and its successor Russia is, by far the most successful nation when it comes to Olympic medals. Both the Soviet men’s and women’s teams won the Olympic gold medals in Mexico in 1968. The ladies also won in Germany in 1972, whereas the men finished third. In Canada in 1976 both Soviet teams finished second. In 1980 at home both Soviet teams won gold again. In 1984 the Soviet Union boycotted the Los Angeles Olympics, just like USA boycotted the Games in 1980. Russia and its predecessor the Soviet Union is the most successful Olympic nation with 8 gold, 8 silver and 3 bronze medals, a total of 19 medals. One four occasions it was the men’s team that won gold, whereas an equal number of times it was the women that were most successful. Brazil are the second most successful nation with four gold medals, but the American men’s team has won 3 gold medals. The Cubans are the second most successful women’s team, as they’ve won gold three times. Japan have been successful as well with a total of 9 medals, 3 gold, 3 silver and 3 bronze. The Netherlands, Poland and Serbia (Yugoslavia) have also managed to win gold on one occasion each. The Russians may have been the most successful nation in history, but the Brazilians have been pretty successful recently. The largest South American nation managed to reach the final both in London in 2012 and in Beijing in 2008. And now they are hosting the Olympics this year, so naturally, everybody in Brazil expects nothing short of a gold medal. The Brazilian women’s team is also expected to win gold this year, as they were even more successful than their male counterparts, winning gold both in 2008 and 2012. The good thing about volleyball is that you can never know in advance how is going to win.